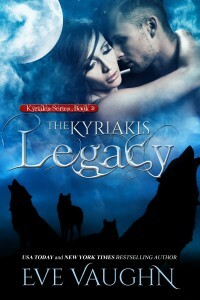 Eve Vaughn, Romance Author » Blog Archive » The Kyriakis Legacy Now Available!!!!!!!!!!!!! « Win a hundred dollar Amazon gift card!! Persephone Kyriakis is a shifter used to calling her own shots. Independent and strong-willed, she takes her pleasure wherever she wants and answers to no man. Viewing love as a burden, she avoids it at all costs, even to her detriment. Eric Magnusson has been through hell and back to claim his status as Alpha of his pack. This shifter doesn’t believing in sitting idly by when he sees something he wants, he takes it. And what he wants is Persephone. When these two immortals come together a battle of wills ensues. But when Persephone falls victim to a Hunter’s malicious spell, it sets off a race with time to find a cure for her. Can these two wolves find their way to each other before it’s too late? This entry was posted on Wednesday, March 25th, 2015 at 3:06 pm in Uncategorized. You can feed this entry. You can leave a response, or trackback from your own site. 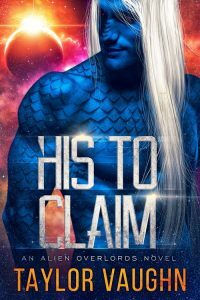 Will this book be available at another online store (Allromance.com) other than Amazon?